Kai-lan is the Cantonese name for a vegetable that is also known as Chinese broccoli or Chinese kale. It is a leaf vegetable featuring thick, flat, glossy blue-green leaves with thick stems and a small number of tiny flower heads similar to those of broccoli. Broccoli and kai-lan belong to the same species Brassica oleracea, but kai-lan is in the group alboglabra. Its flavor is very similar to that of broccoli, but slightly more bitter. It is also noticeably stronger. 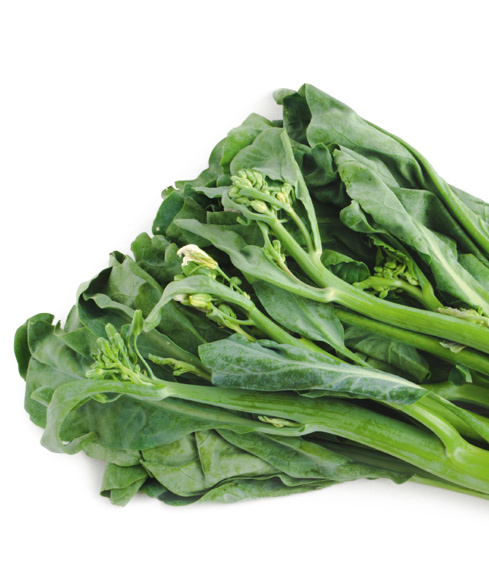 Broccolini is a hybrid between broccoli and kai-lan, produced by Mann Packing Company, Inc.